ONE of the policy objectives desired to be achieved in pushing Malaysia into a high-income economy is by intensifying private sector investment which slowed down significantly after the 1997 Asian financial crisis to below 10% of the gross domestic product compared to almost 30% prior to that. Among the measures announced in Budget 2010 by the minister of finance is the gradual reduction of the government's involvement in economic activities through privatisation of viable companies under the ministry of finance and other agencies. Yes, the "P" word is mentioned again! It was also mentioned in the budget speech that this second wave of privatisation is aimed at enabling the companies and agencies to expand their activities more efficiently, ultimately reducing their financial dependence on the government. This shift of position by the government from being a player to being the facilitator of business is indeed commendable. By focusing on the primary role of providing a level playing field to entrepreneurs to take risk and prosper, the government is allowing the fundamental principle of business, generating profit through real risk-taking, to be further nurtured in the mind of Malaysians. Being a second wave, we could certainly look back at how privatisation was conceptualised and executed earlier and improve the processes this time around. The famous Einstein was quoted as saying that insanity is doing the same thing over and over again and expecting a different result! Given the rakyat-centric approach of the present administration, perhaps new measures could be introduced in the privatisation process so that the ultimate beneficiary would be the rakyat at large and not limited to the rakyat that are awarded the privatisation rights. Since the government is technically the trustee to the rakyat, managing the assets and resources on their behalf, the first step to be considered is to make public government companies and agencies with high potential to be privatised. This will allow more people to participate and come up with business models and structures which not only are sustainable in the long term but offer the best value to the rakyat in terms of services, pricing and immediate cash flow to the government. This will certainly send a strong message that the government is serious in providing equal opportunity to all the rakyat who are innovative and have the capabilities to execute the project successfully. Second, is the way the proposed business models and structures are evaluated. If we refer to the reports of the auditor-general, we have to accept that many things that we did in the past did not result in desired outcomes. In many cases, the government had to come in and rescue some of the projects resulting in significant moral hazards. Lately, the private sector has been brought in to assist the government in turning around failed projects. The PKFZ high-level committee is an example. Why not bring these experts in evaluating future privatisation initiatives? It is better to get their input at the design stage so that robust business models could be developed and reduce the risk of public money being used later if any of the project fails. This will also make the process more transparent and a good deterrent from abuse. When the financial institutions in the US and Europe failed during the recent financial crisis, one of the measures used was the clawback on executive salaries. Perhaps we could use this as part of the new way of privatisation. If the parties fail to perform as promised, there should be ways for the government to come in and put things straight. In this case the operators or owners should be punished, not the rakyat. One of the reasons why the government has to come in with the rakyat's money when certain initiatives fail is due to the guarantee provided by the government. Since the second wave of privatisation is about increasing efficiency, a deal should only be struck if the proponents are willing to take the risk from the deals and not to be given the comfort of any government guarantee. If the proponents do not have the financial standing, then either they should not be considered or another party is brought in to address the financial aspects. Without exposing them to the risk of failure, there would not be much at stake for the proponents to put everything that they should in seeing the privatisation deals achieve their objectives. We should stop people from going in, investing in huge and bloated capital expenditure and then moving out without being accountable. The measures proposed reflect the desire to see improved performance in privatisation deals and putting the interest of the rakyat first. A viable project could be compromised by weak governance. It is hope that this second wave of privatisation would make our economy more competitive and robust and every sector of the society is accountable for their performance, good or otherwise. I attended the launch of the report on access to finance for SMEs and a round table discussion on the issue, jointly organised by CPA Australia and ACCA in Kuala Lumpur today. The Chief Executive of the newly restructured SME Corp, Dato' Hafsah Hashim was also present. Issue of difficulties in obtaining financial facilities from banks was raised during the panel discussion. Another issue that was discussed was the alternative financing modes such as through private equite or venture capital to complement the banking system. It was indeed an honour to be invited to give a key note address at the Universiti Kebangsaan Malaysia's International Management Accounting Conference held at Cititel Hotel, Kuala Lumpur. I was requested to provide my views on how collaboration between academicians and practising accountants would enhance accounting knowledge. I approached this issue by elaborating about the network-centric approach which is being applied by many companies. Using the concept of Wikinomics, I shared how companies are now looking for talents and brain power outside of their organisational walls. Given that academicians have the knowledge based and research capabilities, they are well positioned to participate in a more collaborative environment. Their key challenge would be how to build relationships with industry players so that the academicians would be the first face to be recall whenever people in industry have certain business needs. At the same time I also highlighted that business issues and challenges come from a multi-dimensional perspective. Therefore, offering a narrow and singular solution would not work well in solving real life problems. The conference was officiated by the Deputy Minister of Higher Education and also attended by foreign academicians from Australia, United Kingdom and few other countries. Is your firm ready for FRS 139? WE are now 72 days away from the day when the Financial Reporting Standards No 139 (FRS 139), or IAS 39 as it is internationally known, would be effective in Malaysia. Given that this standard has been around for close to 10 years, its adoption will bring Malaysia a step closer to full convergence with the International Financial Reporting Standards (IFRS), presently targeted by 2012. Dubbed “the mother of all standards” by some commentators, IAS 39 deals with the recognition and measurement of financial instruments, the category of assets and liabilities which appear on the balance sheets of most companies irrespective of their sizes. The fair value concept which requires these financial instruments to be marked to their market prices is the pillar of IAS 39 and has been the bone of contention by its opponents. As the fair value concept replaces the historical cost convention, the adoption of IAS 39 is considered “the test” to ascertain whether or not a jurisdiction has adopted IFRS. This is critical as other IFRS are anchored around IAS 39. The accounting standard for agriculture, IAS 41, is an example. Although the concept introduces more volatility of financial results, the proponents of fair value argue that it provides a better picture of the financial position of reporting entities and reflects the market valuation of assets and liabilities. The recent global financial crisis has brought IAS 39 on the global spotlight, even being accused as the trigger for the financial market meltdown in the US and Europe. Even the French president is familiar with IAS 39! Simplifying IAS 39 is now placed on one of the agendas of the Group of 20 nations (G20). In fact, in ensuring a level playing field between European and US companies, the G20 is pushing for the convergence of the financial instruments standards as applied in the US and the rest of the world. So, instead of having IAS 39 shelved, its position is now enhanced through the support of G20, although work to improve the standard is required. As it is, FRS 139 has been approved although the effective date in Malaysia is Jan 1, 2010. Nevertheless, companies are allowed to adopt the standard early and some had done so. For example, AirAsia and Malaysia Airlines have adopted the standard to ensure their financial statements are on par with other global airlines. Such comparison is important particularly for companies who wish to attract global investors and those with stakeholders around the globe. The effective date of FRS 139 is determined after due consideration of its impact and the state of readiness of Malaysian companies which will be required to apply the standards. Financial services companies such as banks and insurance providers are the ones that will be impacted most as their assets and liabilities are largely in the form of financial instruments. Beyond that, the implementation of FRS 139 requires systems and processes to be put in place to ensure the necessary information is available, particularly those relating to market values. This requires a lot of planning and substantial monetary investment as well. Other companies without derivatives on their balance sheets cannot assume that they need not worry about FRS 139 either. Those with foreign currency receivables and inter-company loans, for example, need to access how far the standards would affect them. Responding to calls from G20, regulators and other stakeholders, the International Accounting Standards Board (IASB) announced the IAS 39 simplification project which is intended to be completed by the end of the year. The first cut of this project has been exposed. Financial assets and liabilities are now measured either on amortised cost or fair value. Exposure draft on Impairment Methodology is expected to be issued in October and the one on Hedge Accounting should be available in December. Given the above effort, some groups in Malaysia are asking whether FRS 139 will be deferred again. Why should we move on with the implementation next year when IAS 39 will be further amended? Why not allow Malaysian companies to apply the simplified standard instead of the one adopted right now? So far, the Malaysian Accounting Standards Board (MASB) seems to be firm on the implementation deadline. Based on the discussions in public forum, the stand is supported by at least two arguments. First, the effective date for the revised IAS 39 to be adopted globally will be around 2012, which is more than two years away. Second, some of the concepts, such as expected loss provisioning, are quite new and could be challenged further. Bursa Malaysia recently advised companies to be prepared for the FRS 139 implementation. The exchange expects that any potential challenges arising from the implementation will be effectively addressed by the listed companies with adequate preparation and a better understanding of the issues. With such expectations, directors of public-listed companies should by now be clear of the issues and challenges of implementing FRS 139 and their companies should already be in the implementation mode. Anything short of that should trigger the alarm bell. After all, 72 days are only slightly more than 10 weeks away! The global financial crisis did not only turn many companies in the US and Europe belly up but raised questions about the effectiveness of modern risk management practices. Since the demise of Enron and the like, enterprise risk management (ERM) had taken centre stage and was adopted by many companies. The collapse of large global companies, including financial institutions that were deemed too big to fall, triggers the interest for us to understand why they were not saved by their risk management mechanisms? • Over 60% of respondents believe that the volume and complexity of risks have changed “extensively” or “a great deal” in the last five years. • 44% of respondents have no enterprise-wide risk management process in place and have no plans to implement one. An additional 18% without ERM processes in place indicate that they are currently investigating the concept, but have made no decisions about implementing ERM. • Some 43% do not have their business functions establishing or updating assessments of risk exposures on any formal basis. Over 75% indicate that key risks are being communicated merely on an ad hoc basis at management meetings. • Expectations for improvements in risk oversight may be on the rise. For almost half (45%) of the organisations represented, the board of directors is asking senior executives to increase their involvement in risk oversight. • For those audit committees formally monitoring risks for the board, 19% only monitor financial risks, 63% monitor operational and compliance risks in addition to financial risks. Only 18% monitor all entity risks, including strategic risks. It is quite apparent from the research findings that there is a spectrum of risk management practices out there. Also, quite a significant number of entities surveyed either do not have a formal and structured risk management process or risks are still being managed on a “silo” basis. 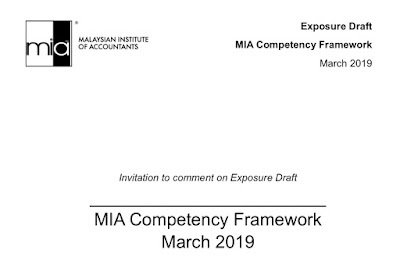 Such findings should alert directors in Malaysia to understand better the position of the risk management practices within the companies under their care. Given that the world we are living in now is complex and inter-connected, risk drivers could change frequently and the impacts and consequences they bring may differ from last occurrences as well. The challenge is how to ensure risk management is applied full heartedly and not just by ensuring whatever check list could be ticked to satisfy instructions from the board or regulators? The pressure of producing short-term results to satisfy shareholders and other stakeholders who are also living on short-term performance expectations would also exert pressure on management to look the other way and neglect putting in place effective ERM. Boards and managements should also appreciate the limitations of ERM and not expect things that cannot be delivered by ERM. For example, the last crisis had certainly demonstrated that extreme risks may not have past patterns. Perhaps, the collapse of the financial market in the US was the result of greed, complex financial products, easy credit regime and me too attitude, all happening at the same time. This accumulation of incidences may have not been experienced by executives and decision makers who were calling the shots leading to the built-up of risks that eventually exploded. The rest was history. Another misconception about risk is that it could be reduced to mathematical models by smart people with strings of academic qualifications. Many mathematical experts were hired to develop mathematical models to predict market behaviours by investment banks and financial institutions. The global financial crisis has taught us that in extreme situations, human behaviour is often influenced by feelings and emotions which may not be captured by mathematical formulae. The number of companies which do not consider strategic risks as discovered by the US study should also remind us here that such risks should not be ignored. Markets, be it local, regional or global are shaped by many factors. These include political developments, economics events, technological changes and environmental issues which occur frequently and influence the competitive dynamics in the market served by enterprises. While enterprises need to be operationally effective and comply with regulations and standards, the risk of not spotting strategic changes could be more disastrous in extreme cases. In short, directors and leadership of enterprises have to focus more effort in ensuring the risk management practices in their organisations are embraced in hearts and minds of all people in organisations. Having structures and processes are not adequate as effective risk management requires continuing attention. Integrating risk management mindset into the culture of organisation is the sustainable way of ensuring business remains viable when major surprises occur. Can Your Organisations Survive Disasters? PEOPLE working in buildings around Kuala Lumpur were evacuated during the tremor that was experienced in some parts of the country last week. While nothing serious happened in Malaysia, the earthquake which hit Sumatra resulted in serious damage and huge loss of life, particularly in Padang. At about the same time, Typhoon Ketsana created havoc and destroyed buildings and infrastructure in a number of countries in Southeast Asia. Manila was one of the severely affected cities and the flooding and landslides that came together with the typhoon paralysed the city. If we look back over the past few years, the incidence of catastrophic natural disaster is becoming more frequent in Southeast Asia. Whether this is a result of climate change is a pressing issue. However, the frequency and the severity of these disasters also trigger business continuity concerns. There is a need to ensure that the organisational operations do not come to a standstill or are severely affected. While Malaysia is not situated on the "Pacific Ring of Fire" and has thus far been insulated from earthquakes, it does not mean that we should not consider the risk at all. Given that Malaysian companies are now operating beyond our borders and the fact that some companies have been investing heavily in Indonesia, the Philippines and other Southeast Asia countries, the impact of future disasters would be felt more significantly by organisations and businesses in Malaysia. The recent riot in Bangkok had disrupted the operations of many companies, including some from Malaysia, when services from the Savarnabhumi airport were totally cut off by the rioters. In fact, we do experience our fair share of incidents which cause major breakdowns in business operations. For example, the national blackout in 1996 resulted in loss of business and a tainted reputation. Of course, some saw the opportunity and the independent power producer industry was born. The flood that hit the southern states of Peninsular Malaysia in 2006 which was attributed to Typhoon Utor displaced a large number of people and disrupted business operations. As more organisations and companies move their business operations online, the availability of Internet services is fast becoming "the critical factor" to these organisations. In this respect, we had also experienced breakdown of Internet services. For example, during the 2004 Boxing Day, the earthquake offshore Sumatra not only triggered the tsunami in Aceh but damaged the cables off the southern coast of Taiwan, resulting in a complete cut-off of Trans-Pacific Internet services. Internet access is the lifeline for the business process outsourcing (BPO) industry. As Malaysia competes to position itself as one of the key players in this industry, the risk of being cut off from the world when disaster happens should be assessed seriously and mitigation plans should be put in place to ensure BPO players survive when disruptions happen. Another factor which is becoming more serious is how much business operations are affected by the spread of diseases. The Avian influenza and the present Influenza A(H1N1) pandemic had caused people to reduce their travel and other business activities. Industries such as airlines and hotels had been severely affected in the past. Concerns that the present virus will mutate into a more fatal version also creates more uncertainty. Given the series of disasters that occurred in the past few weeks, the boards of companies or the committees in charge of risks should review the risk profile of the organisations, giving particular attention to those risks that could disrupt business operations. Management should be required to explain whether there are changes in potential events or occurrence that would surface the risks, their assessment on the worst-case scenario and the risk mitigation plans that have been put in place. This is more critical for larger companies or critical organisations which provide services to the whole country. Business continuity planning is a plan on how an organisation would recover and restore partially or totally interrupted critical business functions after a disaster or extended interruptions of the functions. This is part of the mitigation plan to reduce operational risks and to ensure quick recovery of operations to ensure the image of the organisations or businesses are not affected. For organisations or businesses that are exposed to risks that could affect their operations significantly, a review of the business continuity plan may be appropriate. Sometimes, the plan might have been developed based on different set of assumptions which may no longer be valid or did not take into consideration new emergent risk factors. The question of whether one' organisation could continue business the day after a major disaster should always be asked by boards and CEOs and they should expect a really good answer from the management. Otherwise, do something!